The Monument Avenue 10-K | Night and Day | Style Weekly - Richmond, VA local news, arts, and events. The Monument Avenue 10-K, one of Richmond’s biggest running events, has been named by USA Today as one of the 10 great road races in the United States. Every year the 10-kilometer race (that’s 6.21 miles) takes runners down historic Monument Avenue while thousands of fans cheer from the sidelines. With more than 40,000 participants, costumed teams, spirit groups, party stops, live music from bands at various spots throughout the course, Monument Avenue turns into one giant, sweaty party. Expect a lot of fun and try to avoid the masses if you’re driving close to the action. 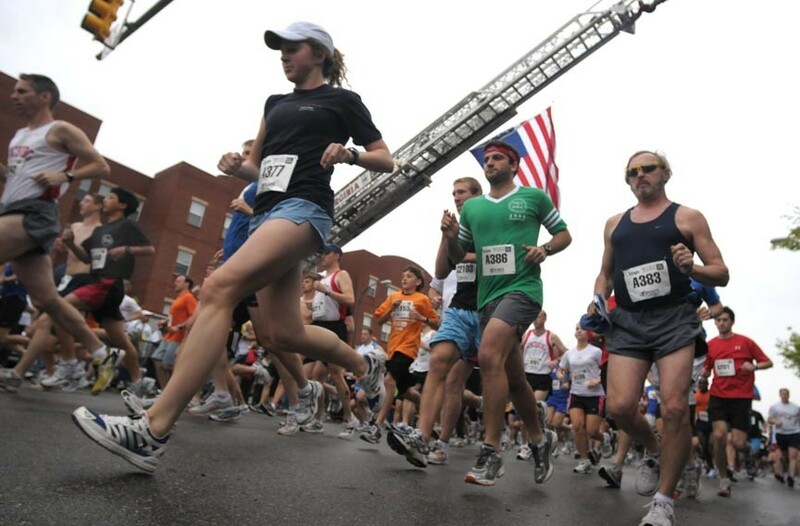 The Monument Avenue 10-K starts at Broad and Harrison streets on Saturday, March 31, at 8:30 a.m. $45 to run. sportsbackers.org.